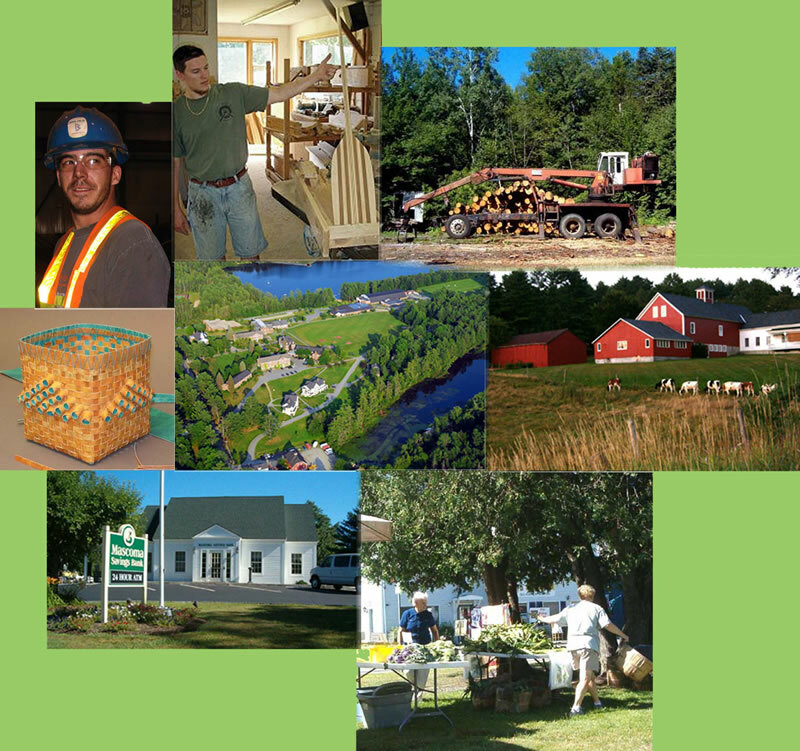 Canaan – the Essence of New England! Canaan is a town of 4,000 people that was chartered in 1761. 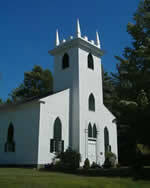 Its meeting house was built in 1793, and it is still used today for community events, public issues, and social gatherings in the original village now known as Canaan Historic District. Education has always been highly valued in Canaan. The Noyes Academy, active during the early 1800s, was one of the first American schools to promote education for black students. 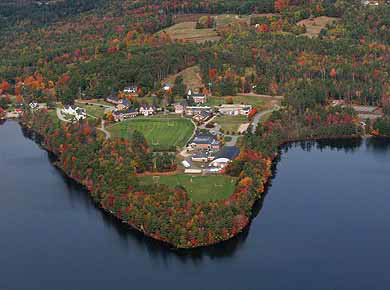 Today, Canaan hosts two wonderful school systems: Cardigan Mountain School and Mascoma Valley Regional School District. Canaan Elementary School, part of the Mascoma District, has been named a "Blue Ribbon School of Excellence." Canaan has more than 12,000 acres of land that have conservation easements that protect it forever. 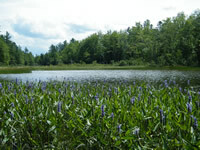 There are 9 ponds and lakes and 2 major river systems, one of which is designated as a New Hampshire Protected River. 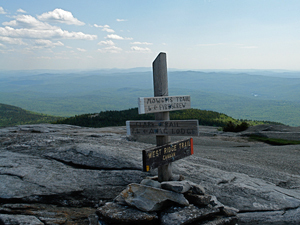 Cardigan Mountain, at 3,100 feet, is the focal point of the 5,000 acre Cardigan Mountain State Park that borders Canaan. 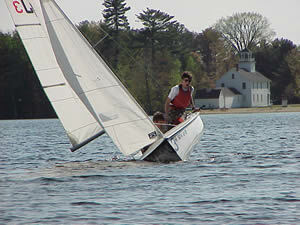 Outdoor recreation, sports, and cultural events are mainstays of the Canaan way of life. Hunting, fishing, boating, canoeing, swimming, hiking, biking, ATV travel, organized team sports, snowmobiling, and horseback riding are enhanced by the beauty of local mountains and lakes. 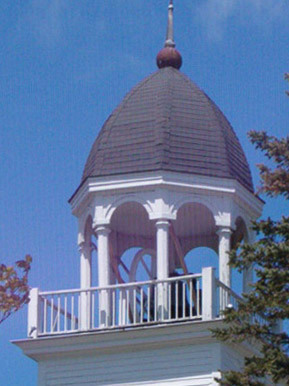 Annual community events such as Old Home Days, Christmas in Canaan, Arts and Crafts festivals, Farmers' Markets, Concerts on the Green, Town-wide Yard Sale Galas, and The Meeting House readings - during which renown authors share their works the local townspeople – create the "Canaan Tradition." 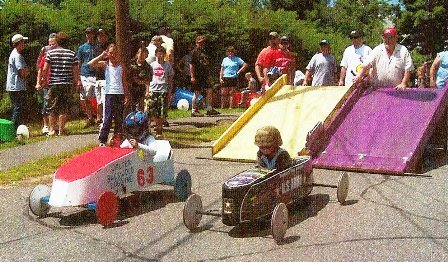 Racing is also part of Canaan's tradition. There are regular Moto Cross racing events and motorcycle hill climbs. The Canaan Motorclub completed a new track and facility in 2015. This is a nationally competitive, 1.4 mile long, high speed track that hosts professional and amateur race cars, high performance karts, motorcycles, and vintage sports cars. 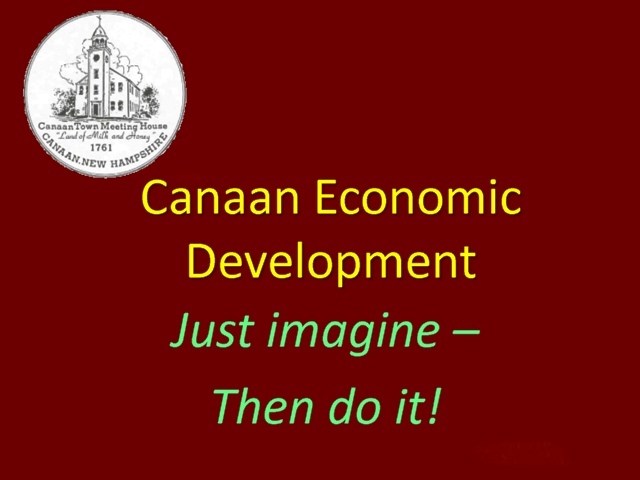 Finally, Canaan is a community of diverse people with extraordinary skills, and differing views, education and wealth. Tolerance and social and personal responsibility are hallmarks. People are artisans, professionals, skilled trade's people and manufacturers. Come experience the land, waters, people and events of Canaan. Check Local Events for times and details! Houses and buildings from the Greek Revival & Federal Period fronting lovely Canaan Street Lake. Has a Green and Picnic area facing Canaan Street Lake. Original Site of Noyes Academy: Second School in the U.S. to admit black students. They have wifi available at all times, and subscribe to genealogy websites to help you in historic searches. Hours available on their website. This historic building has housed a movie theater, a store, a school lunch room, a basketball court, and more. On continuous display is a bicentennial quilt of the historic moments in Canaan, and on rotating display are historic and modern local artwork. Email available from their website. 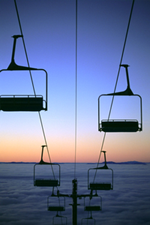 Provides snowmobile trail information, maps, and grooming in the Mount Cardigan area. Mascoma High School is located between Enfield and Canaan on US Route 4. Seasonal Sports Schedule produced by NHIAA. Events occur at sports fields in the Canaan & Enfield areas. See website for more details. Sports Opportunities for children in the Mascoma School District. Meets throughout the Summer on Mondays from 6-9:30PM at Williams Field. 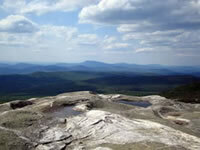 Cardigan Mountain offers several scenic mountain top trails at one of the highest mountains in the area. 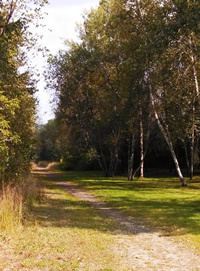 The Town Forest hosts a 1/2 mile long trail leading from a parking area to the an Educational Nature Hut, and from there, there are three shorter trails which begin & end at the hut. Parking is on the north side of Rt 4, in a pull off, located approximately 1/2 mile past Lafortune Rd heading east. The Town Forest is a uniquely forested wetland and home to the endangered Canada Warbler. Co-created between the Recreation Department and Upper Valley HEAL (Healthy Eating Healthy Living), the Walking Guide maps out 7 Canaan Walks ranging from easy to hard. Most walks are readily accessible from a roadside parking location. Twenty-three miles of converted Rails-to-Trails that extend from Lebanon to Grafton, NH. Perfect for walking and biking, the trail is even and offers easy access points all along route 4. The Canaan Trailhead on Depot Street has a grassy picnic area on one side of the trail and easy access to downtown stores, restaurants, parks, and playground. 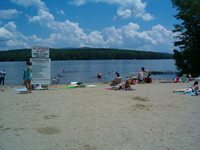 The Town of Canaan maintains a public beach on Canaan Street opposite the Meeting House and next to the Museum on Canaan Street Lake. The beach has bathrooms and changing areas and parking. There is a shallow boat launch, and seasonal daytime lifeguard protection. There are picnic tables across the street at the Meeting House common. There is a boat launch at the south end of the public access road at Clark Pond with parking. There is a boat launch and picnic area at the north end of Goose Pond that is open to the public and maintained by NH Fish and Game. The area is also frequented by swimmers but there is no developed beach at the site. There is a small beach area near the dam at the south end of Goose Pond that is also open to the public. To learn about reserving these spaces, please click here. Williams Field was created in 1927 through a gift of Arthur Williams family of Orange. 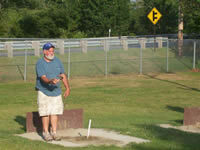 There is a lighted ball field, lighted horseshoe pits and a youth playground at the facility. 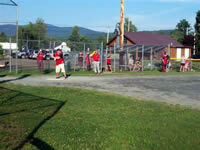 The Field is used by softball and horseshoe leagues as well as inter-community games, school softball for the middle school, individual play and fund-raising games for local organizations. 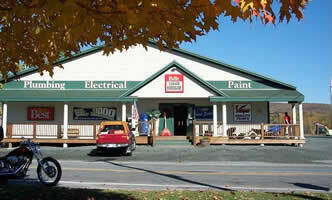 During the summer and fall it also hosts town wide yard sales and Old Home Day activities. A log cabin refreshment stand was donated by Charlie Neily in 1976. The field is located at 1206 US Route 4. 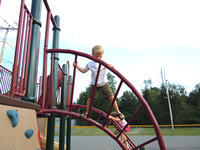 The Williams Field Playground is designed to appeal to all ages and abilities. For older youth, there is a climbing and exercise bar complex. For the youngest kids there is an exploration area with slides, tunnels and exploration activities. This area is ADA accessible for kids with limited mobility. The swing area has two seats that are enclosed and appropriate for toddlers and a fully enclosed ADA compliant swing for older children as well as regular swings. toys and new digging equipment (one ADA accessible) are located near the toddler area. 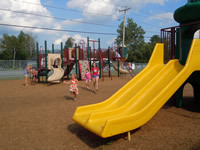 An intermediate play complex with climbing and slides is located just past the older youth exercise area. 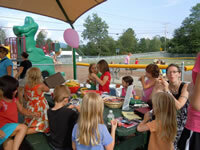 For parents, there is a 25' by 25' shaded area with two picnic tables right next to the toddler area. at 1206 US Route 4. 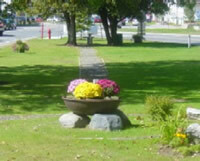 At the intersections of Routes 4 and 118, the Town Green is the focus of downtown Canaan's commerce and community life. 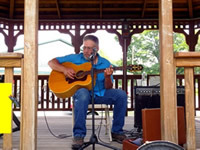 Regular events include Band Concerts, the Farmers' Market, and Town Wide Yard Sale. In addition to lovely benches, picnic tables, and a grandstand, the Common also houses the town's memorial to Fallen Veterans. For permission to post signs on the Common, please contact the Town Administrator at 523-4501 x5. Posting signs without permission is prohibited. In 1792, the people living in Canaan started construction on a Meeting House just off of what is now Canaan Street Lake. It was complete in 1793 and still graces the common on Canaan Street and serves as a focal point for the Canaan Historic District. 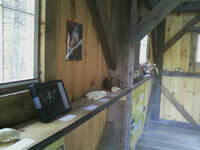 Restoration and historical preservation are maintained by the Meeting House Preservation Committee. 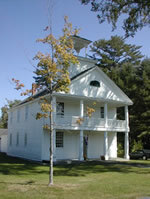 The Meeting House is commonly used for weddings, history days, art shows, meetings, and our regionally famous, Meeting House Readings. Other Needs? These pages may help!